Crestline home sales have been going steady and strong. Whether you are looking for a weekend getaway or a full time home, there is plenty of inventory to take a look at. 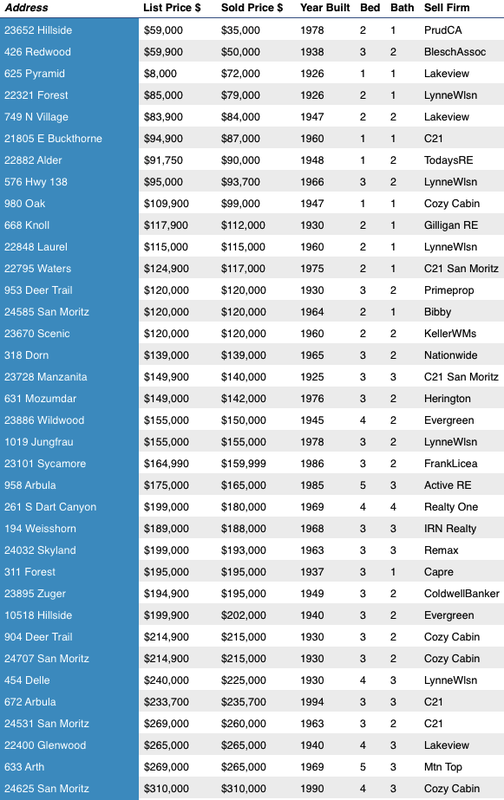 The follow chart show all home sales for Crestline, CA for the month of October 2014. Information was obtained from CRMLS and is deemed reliable but not guaranteed.